Our mission is to keep children safe and prevent the deaths of 12 young people who die of sudden cardiac arrest each week in the UK. 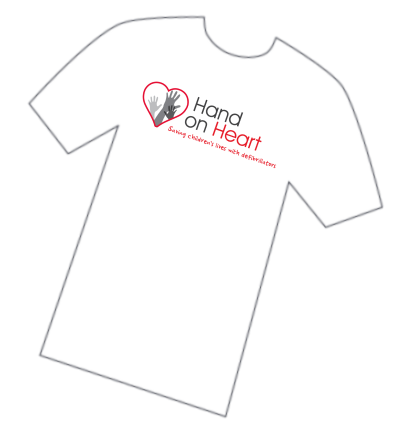 We have partnered with Hand on Heart in this innovative way to help raise extra funds for their cause. Click here - Single/Double side print tees, hoodies, vests. Click here - All-Over-Print tees, trainers, bags. At Hand on Heart our mission is to keep children safe and prevent the deaths of 12 young people who die of sudden cardiac arrest each week in the UK. With a vision that all educational establishments and community facilities for children's activities have defibrillators in place, are confident to manage a health emergency and that deaths from sudden cardiac arrest are prevented. With your support and donation, we can continue to help provide defibrillators and training to more and more schools across the UK.